How do you go about fixing your asking price - your asking price is not necessarily the selling price. Who will do the best job? Which agent do you instruct and why? These are all questions that need answering. Extensive research is undertaken prior to us carrying out a market appraisal/valuaton of your property. This enables us to bring comparative evidence so that you can see for yourself where your property would sit on the open housing market. You are therefore able to make an informed decision on what price you would like to ask. Obviously we provide professional guidance and opinions but ultimately it is your decision on what price you would initially like to try. What follows is a pathway of consistent, constructive communication between you and us acting together as a team utilising all the marketing tools available, those that are common with most agents and additionally, those that are innovative and unique to Country Properties. Once a buyer is found, we then apply our vast experience and know-how in seeing your sale through. 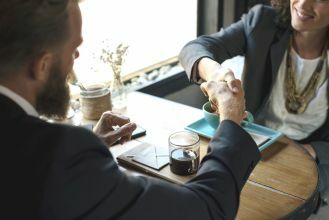 In any market, a really good estate agent with a lot of experience and ‘know how’ will be a tremendous asset when it comes to negotiating, seeing your sale through and getting you moved, but that is after you get a buyer – what about before? An agent that will be truly effectual will not only do the above but will also need to be able to market your property in the most effective way, so that you can enjoy every possibility of achieving a sale and maximise your asset value ie get the best price. 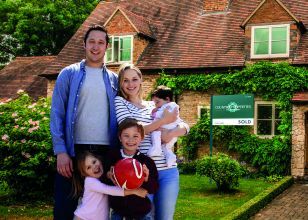 There are a number of very good reasons why Buyers and Tenants come to us first. 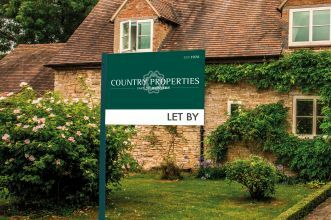 Country Properties franchisees and their staff take great pride in knowing all there is to know about the benefits of living in and around this region. The enthusiasm and knowledge they impart to potential buyers and tenants helps literally thousands of people, from both near and far, to move here every year. Largest choice across our region. All our offices share properties and people looking (over 1,000 potential buyers and tenants register every month). The whole spectrum:- studio apartments, terraces, semis, detached through to country mansions – we cover the whole marketplace. Even our Properties Abroad department has been going for over 10 years. The Landlord’s peace of mind is our overriding objective. Whether entrusted to find a suitable tenant or engaged to fully manage the tenancy, we set out to minimise any concerns the Landlord may have. 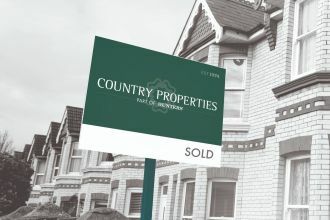 We have over 30 years’ experience acting for a whole variety of different Landlords; some with just one or two properties, some with over fifty and some who are home owners opting to let their property instead of selling it. No matter what the circumstances, the range and flexibility of our services have been designed to satisfy all Landlords individual requirements. From pre-letting advice, all the way through the tenancy to seeing the tenant out at the end, you can be confident that it will be handled with tact and efficiency. As you would expect, prospective tenants are carefully vetted and we can also provide rental guarantee and legal expenses insurance depending on the service.